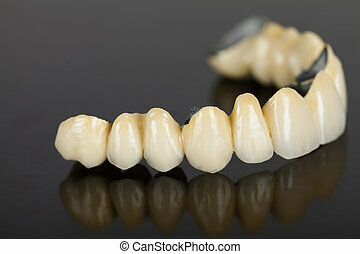 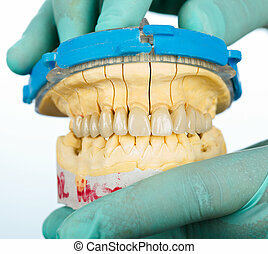 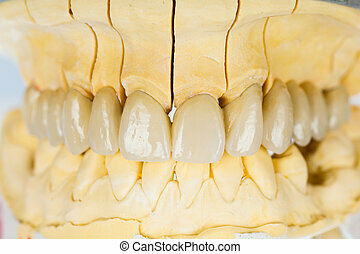 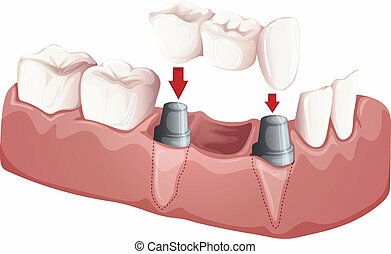 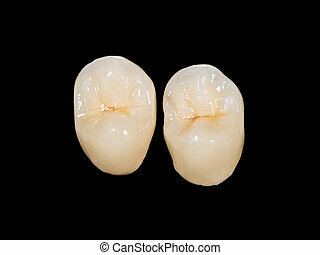 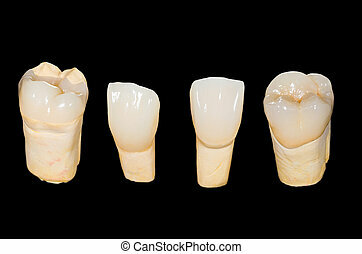 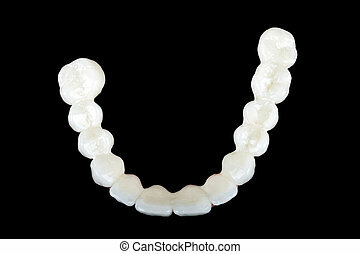 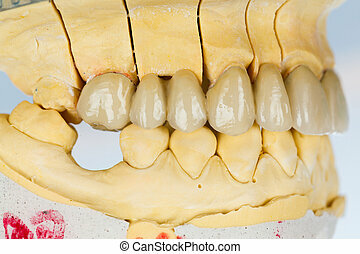 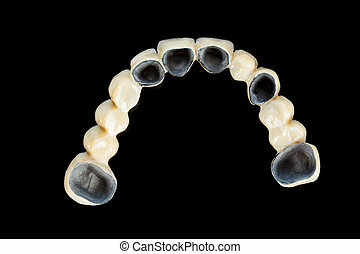 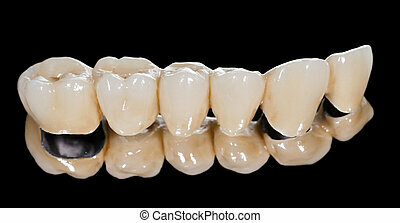 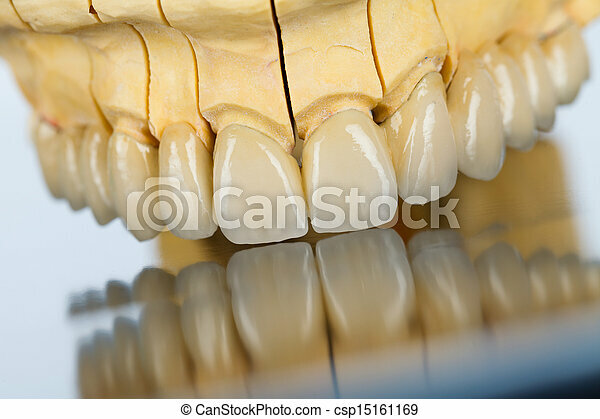 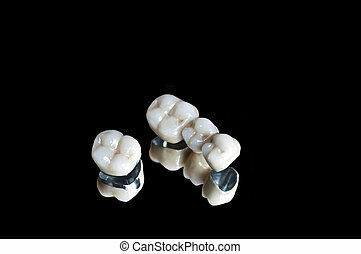 Ceramic teeth - dental bridge. 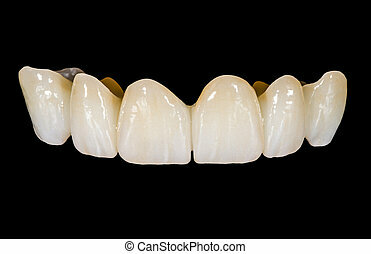 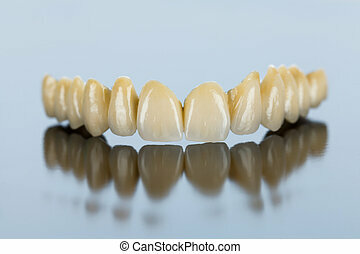 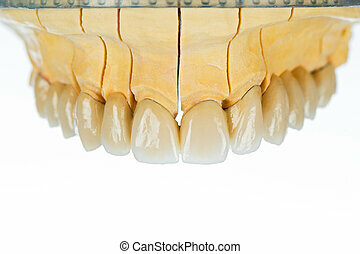 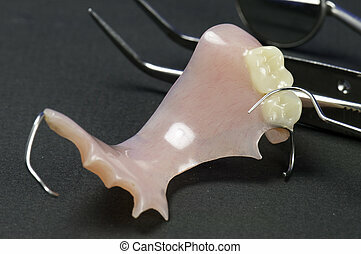 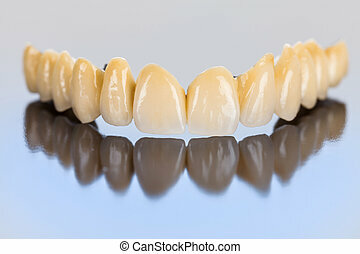 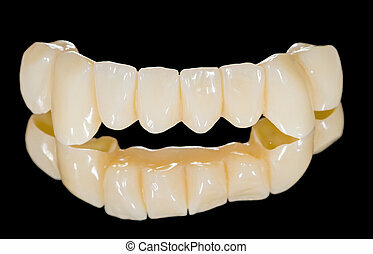 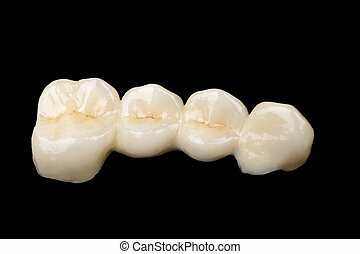 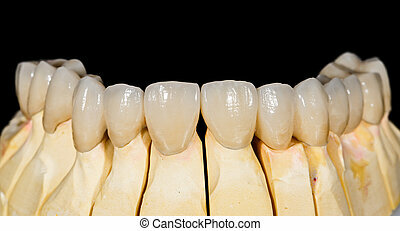 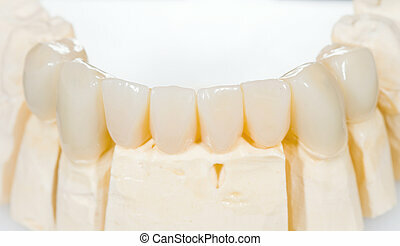 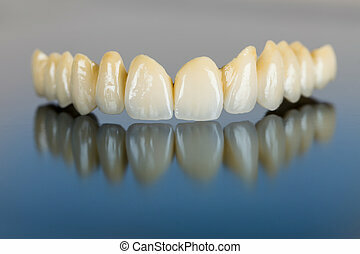 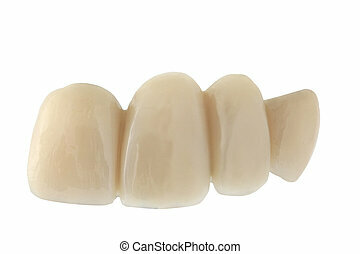 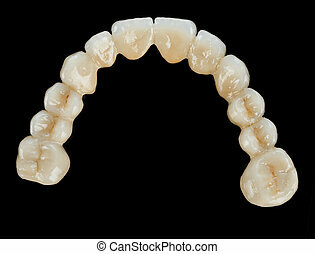 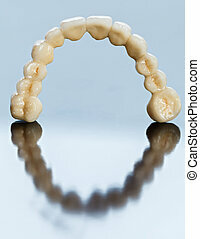 An abstract view of a beautiful porcelain bridge made by dental technician. 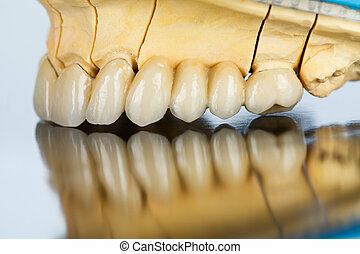 Macro of partial bridge and instruments in the background. 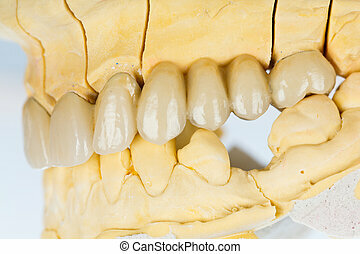 Beautiful porcelain teeth on gypsum model with metallic basis. 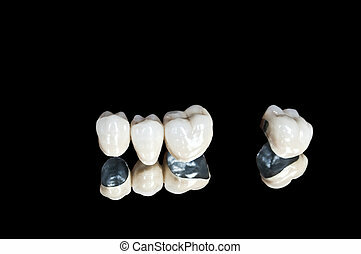 Beautiful dental bridge isolated on black made of ceramic (porcelain), well visible metallic basis, places for abutments - gingival view.